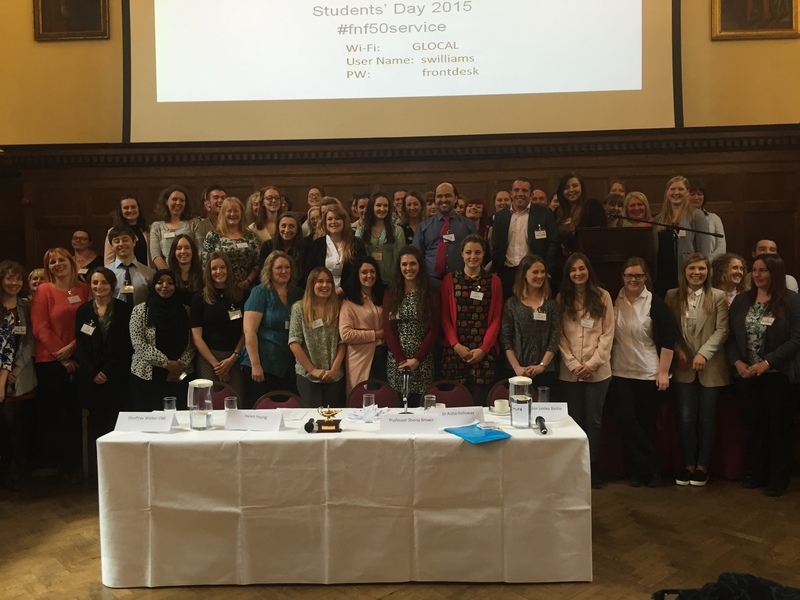 I was very proud to recently being given the opportunity to represent the University of Stirling at The Florence Nightingale Foundation Students Day, which was held in London at St Thomas’s Hospital on 6th May 2015. Different universities throughout the UK were given the opportunity to nominate nursing and midwifery students to this annual event, which is held to commemorate the life and work of Florence Nightingale. There were approximately 80 students who were invited and we all gathered in the Governor’s Hall within St Thomas’s Hospital. Should skills be required be standardised through all universities and trusts? Do we give enough consideration to mental health in adult environments? Should students have more involvement in research? Leadership, is it just for management? being just a few asked. The panel answered all the questions with enthusiasm, wisdom and experience valuing all questions asked. Throughout the question and answer session we were all encouraged and supported to raise additional questions, which was a part that ended up getting very lively and gathering great enthusiasm, with great feedback received from the panel members. The panel ensured that all questions were answered, also giving us great advice for future placements and careers, as well as advice on difficult situations like escalating concerns and getting the right support and opportunities out of our placements. The response from the panel left us all feeling very inspired as well as feeling very proud to become nurses and midwives of the future. A final note given was for us to believe in ourselves, it is always better to aim high, it is never too early to make a difference and to believe in ourselves. The panel members and founders of the Foundation made us all feel very welcome and ensured that we all felt relaxed, included and our opinions to be important. Following on from the panel discussion we had the opportunity to watch a film about the life and legacy of Florence Nightingale before visiting the Chapel in St Thomas’s Hospital. After that we went on a tour of the Florence Nightingale Museum where we learnt more about the foundation of her nursing school and how it all began. 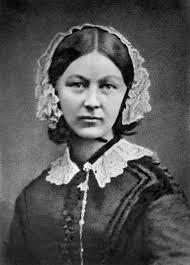 This gave us all a good insight into Florence Nightingale’s background and the incredible research and work she achieved and the many lives she saved, as well as the impact and influence that her work still has on nursing practice today. At the end of the day we all attended the 50th commemoration service at Westminster Abbey, with an attendance of over 2,000 people. We had the opportunity to look around the Abbey before the service began as well as being given the opportunity to visit the Florence Nightingale Chapel. Westminster Abbey was a truly magnificent building and was breathtaking to see. The Florence Nightingale commemorative service began with a choir and the atmosphere was amazing which continued with a procession being led by a Florence Nightingale scholar carrying the lamp, which was lit and escorted by student nurses and midwifes. Upon their arrival before the altar, the lamp was then passed between Florence Nightingale scholars, which is a tradition that represents the passing on of knowledge. This service was a memorable end to a truly inspiring day. Throughout the day I had the opportunity to meet with students studying adult nursing, mental health nursing and midwifery making many new friends along the way and learning about different students’ experiences, advice and goals. I truly found the day to be very inspiring, educational and thought provoking. Certainly a day I will never forget and I would certainly recommend other students, if given the opportunity in the future, to attend as it is certainly an experience that will leave you feeling extremely proud to be called a nurse.